Many locals have come to know the city of Charlotte as “The Queen City”, named after Queen Charlotte of Mecklenburg-Strelitz. Charlotte upholds its reputation for being an exciting, always alive and vibrant city with plenty of things to do. 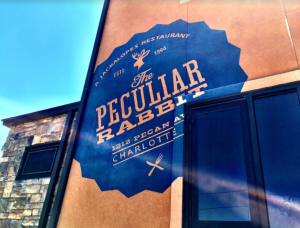 There are two specific areas of the city that differ quite a bit from the widely visited Uptown -NoDa and Plaza Midwood. Plaza Midwood is just a few streets away from center city (Uptown), and very much has its own vibe. Some think of Plaza Midwood as the “eccentric neighbor” to the Queen City or to NoDa, because of its vibrant and unique structure – streets lined with buildings – some tall, some short, and most look their age. This neighborhood is a historic part of the city dating back to 1903, which, along with its interesting gift and coffee shops, gives it a quirky characterization. At its beginning stages, The Common Market was the result of founder Blake Barnes looking to open a neighborhood store that differed from similar stores of the past. 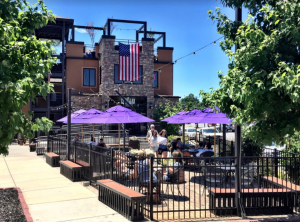 It quickly became something more – a community hangout where a diverse group of people can go to eat, relax on the large patio, shop for unique trinkets and gifts like vinyls and t-shirts, and enjoy a local craft beer or two. Visit the website here. Its core values are friendship and togetherness…how can a brewing company with those intentions not provide a welcoming environment to enjoy a delicious craft? See what the “hop” is all about here. If, like most coffee connoisseurs, you’re looking for a local coffee shop with character and a charming, ‘make yourself at home’ quality opposite of your typical Starbucks, you’ve found it at Central Coffee Co. Between the daily homemade pastries, the creative cappuccino art, and the artisan on-tap coffee from roasters local to North Carolina, its no wonder the line in the morning is through the door. Check out their menu here. You won’t find a more authentic gourmet Mexican cuisine anywhere in Charlotte, although there are many valiant competitors. With fresh certified organic and non-GMO ingredients like Masienda heirloom corn, and in-house hand-ground masa, you’ll feel like you’re dining at the National Palace in Mexico City. Tour the restaurant’s cuisine here. A quirky used book store specializing in history, art, architecture, classic literature and fiction. Books run at a decent price, usually at least half of face value. You can also trade in old books for a store credit. The quirky part? Not only can you find great used books here, you can also adopt a new kitty (seriously, they rescue cats who hang out in the store until they find a new home). Check out their Facebook page here. Have you been searching for that hard-to-find brand of shoes or clothing to no avail? You need to try Black Sheep Skate Shop. Their specialty is selling limited-edition footwear and skateboards that may be difficult to find at general stores. You can see what new items are hitting the shelves here. You guessed it, this store is all about the red yellow and green. Here you’ll find all kinds of items in reggae style, like t-shirts, music, art and more, plus promotions for live Reggae concerts in the local area. See current promotions and learn more about the shop here. A spot to hear live music from pop to punk, rock to hip hop, and anything in between. The Rabbit Hole hosts local and up and coming artists as well as artists that are known nation-wide. They also have a special event room available for guests to rent out to host their own private event. Stay up to date on planned performances with their Facebook page here. Plaza Midwood’s own nature park, where you can find playgrounds, green areas for picnicking and activities, tennis and basketball courts, a soccer field, a stage for live performances and more. This is a perfect place to bring the family and kids of all ages for a fun day outdoors.